If I was the blaming type, I would blame the school system on our son’s obsession with pi (“3 point 1 4 …”). Every math teacher seems to have a pi chart (pardon the pun) on the wall where pi is shown out to a hundred decimal places. Or more. Kids like to see who can memorize more digits than the others. At least my kid does. Speaking of pi (“3 point 1 4 1 5 9 2 6 5 …”), today is Thing 2’s birthday. We will be having pie today as it is the dessert he wants to share with his family. He got to have cupcakes with his friends yesterday, but he wants pie (“3 point 1 4 1 5 9 2 6 5 3 5 …”) today. 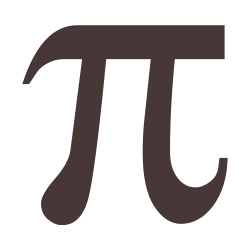 The funny thing about Thing 3’s fascination with pi (“3 point 1 4 1 5 9 2 6 5 3 5 8 9 7 9 3 2 3 8 4 6 2 6 4 3 …”) is that if I recite it out with him, he will correct me if the digit needs to be rounded up. As a matter of fact, I am sure he wants to correct one of my numbers above. Thankfully Thing 3’s fascination with pi does not include a need to celebrate pi day (March 14 for those who are not pi inclined). Nor do we need to get one of those pi charts (sorry again). We just get to hear pi out to the 27th decimal place (“3 point 1 4 1 5 9 2 6 5 3 5 8 9 7 9 3 2 3 8 4 6 2 6 4 3 3 8 3 …”) every time anybody says anything that sounds like pi. Thing 3 would love it if everybody who read this post had subliminally memorized pi (“3 point 1 4 1 5 9 2 6 5 3 5 8 9 7 9 3 2 3 8 4 6 2 6 4 3 3 8 3 …”) out to the 27th digit. Of course, that was not the purpose, but he would love it if it was. After all, my son likes pi.